The weight loss market is saturated with fat burners that over-promise but fail to live up to expectation. A good fat burner can make a real difference when it comes to helping you burn fat and lose excess weight. 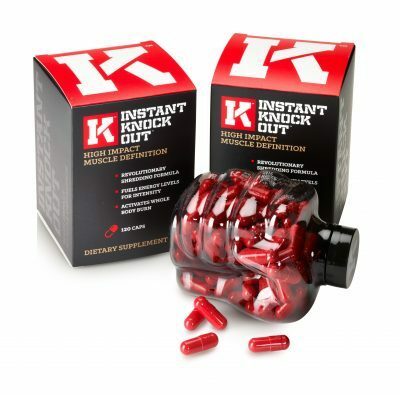 Today, in this Instant Knockout Review, we are going to take a look at Instant Knockout and see if it this is a fat burner that is worth your time or if you would be better with something else. Instant Knockout is marketed as a 100% natural fat burner that relies on plant-based ingredients to burn fat by increasing your metabolism and suppressing your appetite. The manufacturer originally made the product specifically for MMA fighters and pro-boxers. 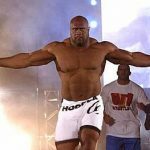 When a fight is scheduled, fighters usually start on a weight loss program to cut down on extra fat in preparation for the weigh-in. The challenge has always been to lose any extra weight without compromising muscle or strength gains, and Instant Knockout is designed to help with this type of rapid weight loss. 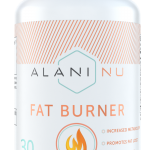 This supplement works through a three-pronged approach: speeding up metabolic function, building strength and endurance, and burning fat. 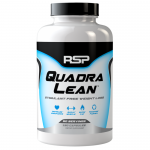 In order for it to work, the formula is coupled with carefully-timed dosages that help to keep the body constantly in fat-burning mode and to keep energy levels high throughout the day. This product can be used by anybody (over 18 years) who wants to shed a few pounds without losing strength, or muscle definition. But it’s not only athletes and bodybuilders who can use Instant Knockout. Regular folks can use it too if only to combine it with a decent workout and good diet. 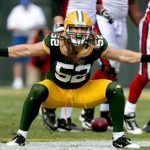 Pro-athletes, both male and female, have used it to get in shape in time for an event or to boost strength and performance. 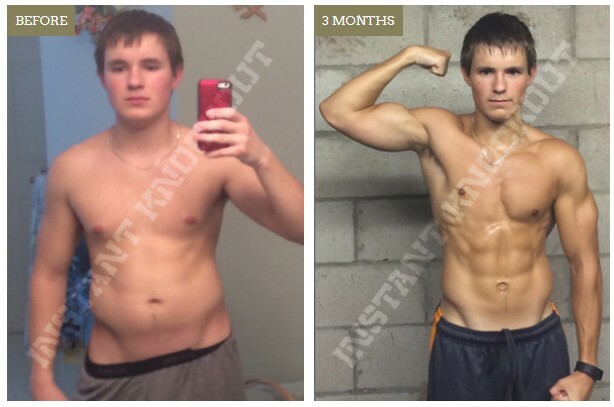 It is designed to work for all body types, so guys can use it to help bulk up and women can use it to lose some pounds and enhance their silhouette. 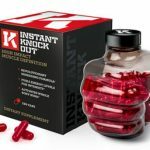 Ingredients in Instant Knockout and what they do? Instant Knockout contains at least 10 active ingredients, through a combination of completely natural, 100% plant-based extracts that include vitamins and minerals to help speed up fat burning processes while supplying the body with essential nutrients. 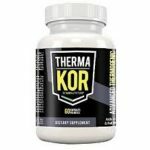 The ingredients include both thermogenic and non-thermogenic properties, and this is what enables the product to generate powerful, synergistic effects that disable the body’s capacity to store excess fat. This sounds like a simple ingredient but don’t be fooled; green tea has powerful fat-burning properties thanks to the active ingredient, polyphenol, which works by increasing the natural levels of norepinephrine in the body, causing the liver and muscles to consume more fatty acids. 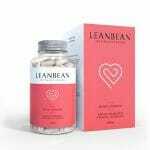 It also cuts down on triglyceride, and this further enhances its capacity to reduce body fat. Most of us know that caffeine plays a role in enhancing metabolic function, but it’s worth mentioning how effective it is at increasing fat absorption. Caffeine is extremely effective at boosting metabolism, particularly when used before a workout. It burns up to 30% more fat and also regulates sugar levels, making it easier to manage food cravings. What makes it so potent is the fact that you’re consuming it in anhydrous form, which means it doesn’t have any impurities or unnecessary additives that reduce its function or cause unpleasant side effects. The combination of caffeine and catechins (found in green tea) leads to a synergistic action that works to enhance the body’s ability to use up fat reserves to generate more energy. It is commonly used for seasoning but cayenne is so much more than a spicy additive. It has the active ingredient, capsaicin, that increases fat consumption and reduces the number of calories being stored as fat. In addition, cayenne also helps to fight hunger pangs by suppressing the hormone ghrelin. This is a dietary fiber that when consumed, swells up in your stomach and makes you feel fuller for longer, reducing the number of times you consume snacks during the day. 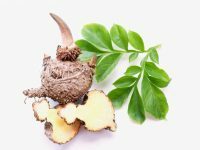 When combined with cayenne, glucomannan has been proven to have a strong appetite-suppressing effect, which is good news for anybody looking to cut down on weight. Cayenne isn’t the only pepper with a fat-burning compound. Piperine is another weight loss compound found in black pepper that reduces fat storage through an unusual mechanism. It works by preventing the formation of new fat cells – which automatically stalls weight gain – and it also promotes nutrient absorption in the body, which makes all the ingredients found in Instant Knockout more effective. According to the website WebMD, there isn’t enough convincing data to show that Vitamins B6 and B12 can help with weight loss. However, it doesn’t hurt to include them in a weight loss supplement – at least for the nutrient function. This compound is used mainly to stabilize blood sugar, which adds to the overall effect of burning extra fat. 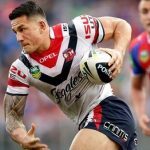 It has also been claimed to stimulate the body into producing extra growth hormone, but this hasn’t been proven yet. Zinc plays a big role in regulating testosterone for men and enhancing the body’s ability to absorb and process essential nutrients. 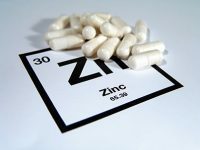 According to health experts, there is a close correlation between low zinc levels and obesity in a large section of the population. Raw coffee beans contain a compound called chlorogenic acid that has been discovered to minimize glucose absorption, lower fat absorption during digestion, and regulate blood sugar levels. 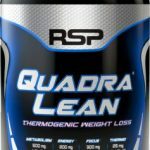 It is considered a vital ingredient in weight loss regimens due to its ability to promote a strong, healthy physique. Most of these ingredients have been proven by the scientific community to support weight loss through effects such as blocking new fat deposits, enhancing metabolism, and improving nutrient absorption. The product Instant Knockout uses a combination of these active ingredients for maximum effect, making it more likely that users will lose excess weight. Ultimately, the best way to ensure that any weight loss supplement works is to combine it with proven strategies and to take into account your body type, genetics, etc. 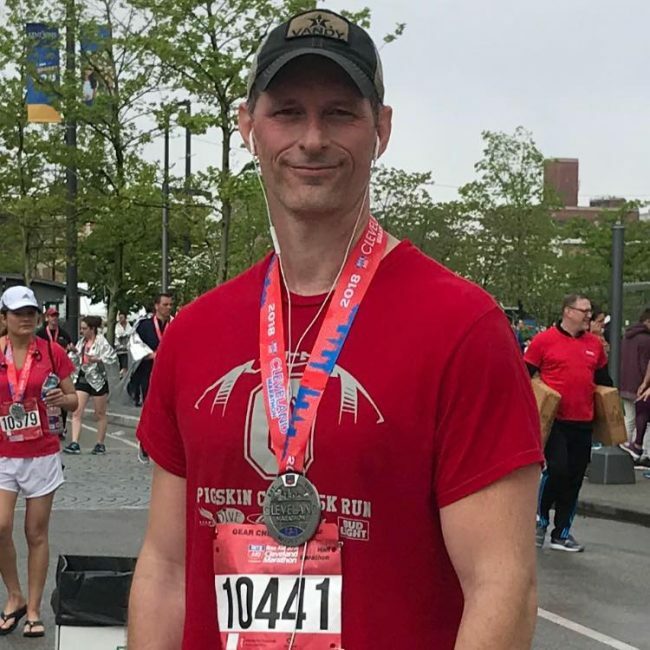 The most effective strategy involves a calorie-restricted diet, regular cardio-vascular workouts, isolating every muscle group during exercises, and taking enough protein. All the ingredients used in the product are natural and safe to use (as with all products produced by Roar Ambition), so this greatly minimizes the potential for side effects and the severity thereof. That being said, anybody who promises that a supplement won’t have side effects is flat-out lying. All supplements, regardless of the quality of the ingredients, have some sort of side effect, but these are generally manageable and won’t cause any serious concern. Even though Instant Knockout works by targeting fat storage and appetite suppression, it contains significant natural stimulants. For this reason, users should time the dosages so that each pill is taken several hours before sleep. The caffeine content also means that some users will find IKO too strong, especially with the recommended 1×4 dosage; so people who aren’t regular coffee drinkers might prefer to take just two or three pills a day – at least for the first few weeks. Once the body is accustomed to the caffeine, you can proceed to the recommended four pills a day. Anyone who’s currently under medication should consult their doctor before attempting to use this product, to eliminate the possibility of serious drug interaction. Likewise, pregnant women should speak to health expert before using any kind of weight loss supplement. 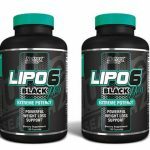 1-month supply at $59 plus an additional $7.95 for Shipping. 2-month supply at $118 plus S&H fees to the States and UK. Ultimate Shredding Stack, a package that includes 3 Instant Knockout bottles plus 1 free bottle and a t-shirt, at $185, with free shipping. Based on dozens of reviews online, most users report positive results after 90 days of consistent use. It is worth noting, however, that not everybody fully agrees with claims that Instant Knockout works, but this doesn’t disqualify it as an effective weight loss supplement. On average, the product receives mostly positive ratings on multiple review websites, but among users who don’t find it effective, there seems to be a serious problem with the refund policy (i.e., the manufacturer isn’t straightforward with refunds). Also, customer service isn’t reliable. 5 out of 5 stars Chris G. May 2017, U.S.
5 out of 5 stars Ashley July 2016, Connecticut. 4 out of 5 stars D. Sommers, April 2017, U.S. Does Instant Knockout Really Work? 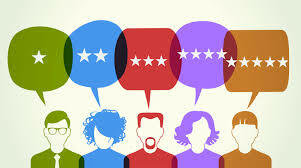 Based on the number of users recommending the product, it works in most cases. After three months of consistent use and strict adherence to the recommended diet, consistent weight loss and muscle growth can be seen. By reducing fat storage and speeding up metabolism, it allows users to cut down more fat than they would without the supplement. 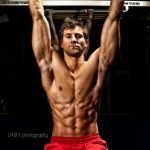 High energy levels are also a huge boost for anybody who works out regularly, including pro athletes and bodybuilders. 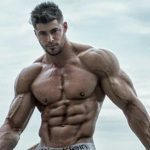 It’s important to remember that your own efforts will go a long way in making sure you lose weight and build muscle – so any user hoping to get ripped by popping a pill and sitting in the couch all day will be hugely disappointed. Instant Knockout is one of the few fat burning supplements that aren’t complete BS. It also helps that the manufacturer is based in London, so users can expect a high-quality product manufactured under safe conditions. Users still have to put in the work, but if you’re not overly pessimistic (or just lazy) then you should not have a problem giving it a try. We recommend it for any guy looking to lose weight, increase the intensity of their workouts, boost energy levels, or build muscle. For improved results, we recommend buying more than one bottle – this way, you get a better deal and you have an opportunity to plan your diet and workout around this product for maximum effect. 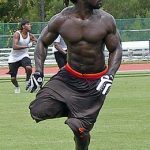 Even though it was originally designed for bodybuilders and athletes, Instant Knockout will work for anybody who’s looking to lose weight and reduce body fat.